Located in Lake Mills, WI, Fire and Knife BBQ is a veteran owned mobile catering service offering slow smoked BBQ for events ranging from a backyard BBQ to weddings for hundreds and everything in between. Fire and Knife BBQ started by accident. Seriously, it was not intentional. You see, it all started when we (Josh and Corbyn - two US Navy Veterans) started grinding sausage as a hobby and the folks back at work said, “bring us more!” Then we began curing our own bacon and slow-smoking it before slicing it thick and we could barely keep any for ourselves before it was sold out. With time (say, a few weeks or so) we started sharing our slow-smoked Texas Style Beef Brisket and Pulled Pork with friends and co-workers. This lead to our first, official BBQ Cook where we broke in our huge Pig Smoker and we sold out in a matter of a couple hours. It seemed we were on to something and going “legit” and starting a real, grown-up business was the only way to go. We got certified as Kansas City Barbecue Society judges and we took butchering and cooking classes. Our BBQ sauces were cooked up and tested along with our family-recipe sides that compliment our ‘Q. Then, a mere 4 months later, we were happy and proud to announce that we WON the 2016 Saratoga’s All-American Celebration for Best Newcomer and Best OVERALL BBQ! We even made it in the local newspaper! We appreciate all the support from our family, friends, and co-workers! Then when Josh got out of the navy in the summer of ‘17, he moved back home, and took the business with him to Lake Mills, WI. 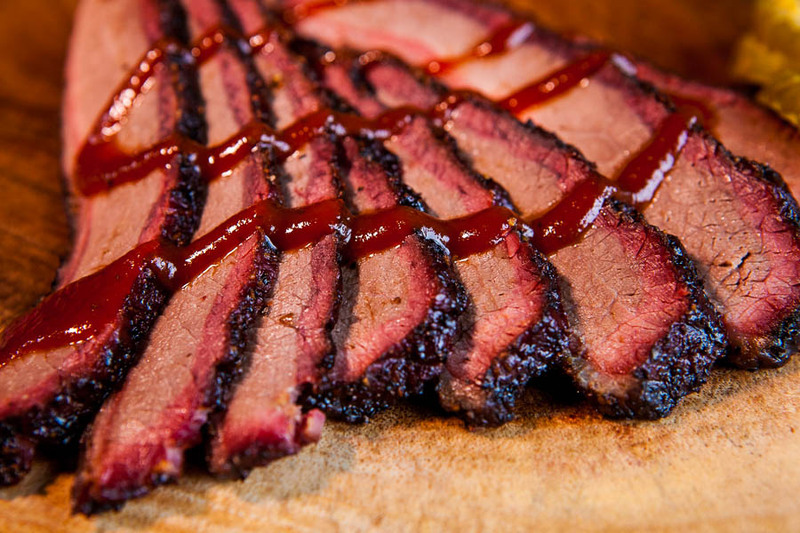 What we do: We CATER Slow-Smoked BBQ. We do not have a physical restaurant location currently, but we do have a concession trailer! We can do everything from big and small, a backyard BBQ to large events. (Birthdays, Anniversaries, Weddings, Church Picnics, Charity Events, Graduation Parties, Holiday Parties, Corporate Events, Family Reunions, etc) We price competitively! Pricing is done based on each individual event so we can give you the best options and pricing available. Give us a call and we’ll get ya fed!! We also make gourmet, dry cured bacon, slow-smoked and thick sliced along with fresh-ground and seasoned sausages, and our homemade BBQ sauces. You can contact Fire and Knife BBQ via Phone/Email (920) 605-5757 / Josh@FireandKnifeBBQ.com, on our social media pages, or by using the “Contact Us” section below. If you get our voicemail, please leave a message, and we will get back to you as soon as we can. We look forward to catering for your next event! Will cater events in Madison, Milwaukee, Janesville and surrounding Areas. Will cater events anytime of the day or night. 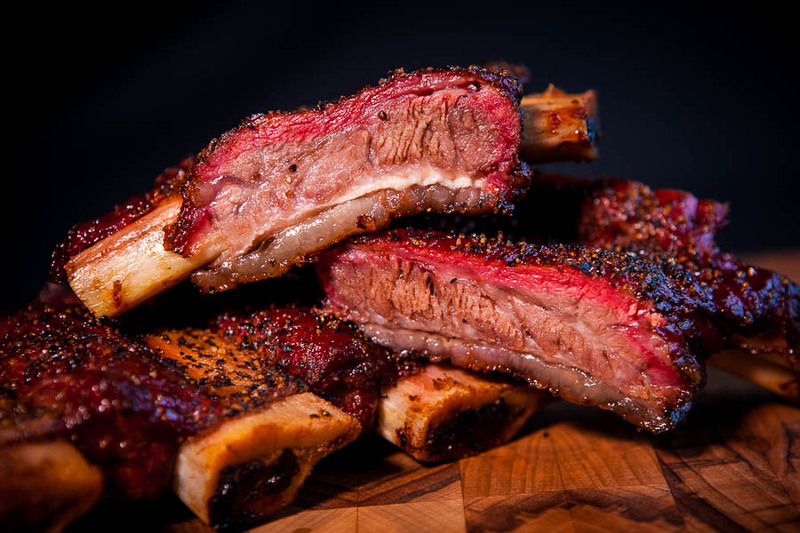 We offer slow smoked Brisket, Pulled Pork, Beef Ribs, St. Louis style pork ribs, Sausage, Chicken, Turkey, and Salmon. 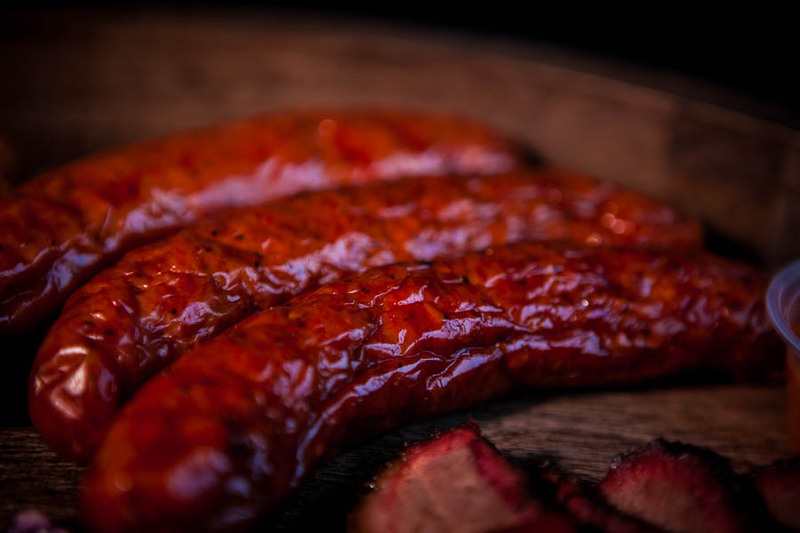 We also offer our own homemade BBQ sauces, and delicious sides, including our famous cowboy baked beans, coleslaw, potato salad, and cornbread. We also offer apple, peach, and cherry cobbler for dessert. We will have our food trailer at Rock County Brewing Company - 10 N Parker Dr Suite 160, Janesville, WI 53545 on the dates below! Come check us out and try our delicious BBQ! We will also be set up at Waunaboom at Ripp Park in Waunakee on the Fourth of July from 2-9:30 pm. There are awesome events for kids and adults, and an amazing fireworks show! Let us know how we can help you with all of your catering needs. We will get back to you shortly to go over details and pricing. Thank you!